It’s hard to believe it’s already October and the harvest season is quickly winding down. Hopefully this weekend’s weather will not bring the season to an abrupt end. 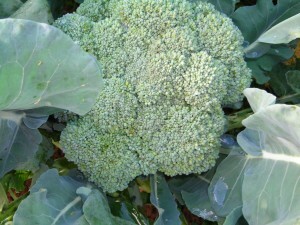 Kenny’s broccoli is beautiful this week and we should have plenty, but no cauliflower until after Harvest Homecoming. We will have loads of fall/winter squashes available… spaghetti, acorn, butternut, etc… Also available this Saturday: fresh green beans, potatoes, okra, green and golden zucchini, yellow summer squash, Swiss chard, kale, cucumbers, “candy” onions, bell peppers, cabbage, jalapenos, mixed hot peppers, pablono peppers, sweet banana peppers, cherry tomatoes and sweet potatoes. Turnips and spinach will also be available. Tomatoes…. we still have them and several varieties are still available. We also still have some canning tomatoes available on a pre-order basis only… be sure to place your order if you are wanting to make homemade salsa, pasta sauce or your favorite recipes. We are still picking apples… Golden and Red Delicious apples will be available this week. Remember we usually sell out early when it come to fruit… so come early or pre-order to have your fruit and veggies ready for pick up. Note: There is no normal Farmer’s Market next week, October 13, 2013, due to the Harvest Homecoming Festival. We will return the following Saturday thru the remainder of October. Be sure to load up this weekend to hold you over! 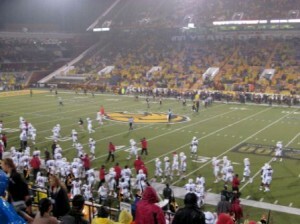 Greetings from the "fish bowl", we had a great time and the CARDS won 21-17!